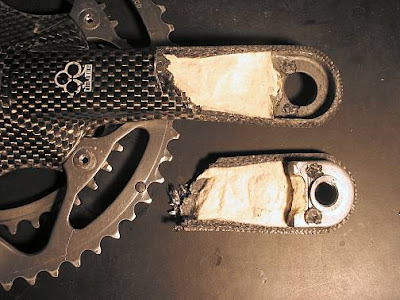 What's inside a carbon crank? Foam. People who know these things tell me sometimes it's an air-filled bladder. That's the plastic you can see inside forks and frames.